Although the goals of the collaborative archaeology paradigm are clearly something that we should all aspire to, I think it is important to note that for many early career archaeologists, particularly those beginning projects abroad, “true collaboration,” i.e. collaboration from a project’s inception, may simply not be possible. This is because archaeologists at early stages in their research will likely not yet have received the funding required to spend the time building the necessary partnerships. In such cases, should we simply ignore the heartbreaking destruction of cultural heritage in the area we have become so passionate about? My response to this question was “decidedly not”, and I argue here that with the aid of a community-insider, simply being open and honest (see statement 2), and putting community interests first, can go a long way towards allaying indigenous people’s fears and concerns about archaeologists and their practices. In my research area, the Lake Atitlán Basin of highland Guatemala, I was acutely aware that several previous archaeological projects, had been prematurely terminated for incurring the suspicions and mistrust of the indigenous Tz’utujil Maya. Beginning with the ejection of the Carnegie Institution’s Samuel Lothrop from the site of Chuitinamit in the 1930s and extending up until the recent expulsion of the Samabaj crew by the leaders of Santiago Atitlán , the Tz’utujil have repeatedly declared their refusal to be overlooked in matters pertaining to their cultural heritage. Given this checkered history and the cautionary warnings of regional experts such as Barbara Arroyo, concerns about causing no harm (see statement 1) were at the forefront of my mind as I embarked on my investigations. Fears that I would not be able to identify, let alone appease, all of the relevant stakeholders, or that I would inadvertently anger one or more landowners, however, led me to expend considerable effort, in the months leading up to the project, soliciting public opinion via a project Facebook page and searching for a local advisor who could help me negotiate the complexities of the local politics and permissions processes. My search for an appropriately qualified advisor eventually led me to contact a mathematics professor named Domingo who had lived in the area all his life and had recently self-funded the construction of a community center dedicated to the promotion of science, culture and the arts. Domingo quickly committed himself to the project, scheduling a meeting with the mayor of San Pedro Atitlan on my second day in town and arranging an opportunity to explain our mission in an interview on a popular local TV station. Domingo played a crucial role, helping us to arrange all of our official meetings and ensuring that we followed established local protocols. This extended to making sure that all of our important meetings were conducted on propitious days in the Mayan calendar and that our first day of fieldwork was preceded by a blessing from a respected local aj kij (daykeeper). And while Domingo’s powers to influence the decisions of individual landowners were more limited, his insider community-knowledge quickly helped us to deduce why some land-owners had refused us access, thereby helping us to refine our permission strategies as we went forward. As the project progressed, we adopted a simple ethos based on three basic principles: respect, communication and transparency (see statement 2). These principles reminded us to always put the community’s needs before our own or those of the archaeology by: a) restricting our investigations to where we had permission, b) clearly explaining our mission to the public whenever we had the opportunity and, c) inviting landowners and the public to visit our laboratory to see how we processed and analyzed the recovered artifacts. Armed with these guiding principles, Domingo’s insider knowledge, and our workers’ ability to communicate our mission in the local dialect we found that the majority of the landowners we encountered were not only accommodating but openly appreciative of the interest we were taking in the history of their community. And although, we fell short of achieving the desired full-coverage survey, the resultant random sample survey covered portions of all of the major sites in the project area and generated over 30,000 ceramics, covering the entire prehispanic sequence. More importantly, however, the project achieved the far more valuable goal of laying a stable foundation for long-term collaboration and research in the area. My experiences directing the Proyecto Arqueológico Lago de Atitlán taught me that when collaborative partnerships are not forthcoming at the inception of a project, it may not only be acceptable, but desirable for western archaeologists to take the lead. This is certainly true of highland Guatemala, where the Maya themselves simply do not have the luxury of worrying about their own cultural heritage, being forced by dire economic circumstances to devote themselves entirely to the unending task of providing for their families. Early career archaeologists should be aware, however, that even with a local advisor on board, gaining the trust of a community and acquiring all of the required permissions takes time (two months in our case) and needs to be taken into account at the budgeting stage. Archaeologists should be heartened, however, that while often tedious and frustrating, these slow-moving administrative processes nevertheless force us to engage with the community on their own terms and learn the culturally appropriate ways of doing things. Attempting to circumvent such processes by using clandestine survey strategies, on the other hand not only risks alienating the local community but sealing the fate of the cultural heritage we so desperately seek to preserve. As discussed in statement 2, such practices are simply no longer ethical or acceptable. The AAA Statement of Ethics asks anthropologists to “do no harm,” an injunction that is deceptively simple. After all, anthropologists can rarely foresee or influence the potential consequences and unintentional impacts of their research. The AAA’s injunction therefore introduces thorny issues pertaining to the long-term effects of data—the maps, village boundaries, and ethnographic interpretations—that emerge from anthropological research. We could ask: Who defines harm, both immediate and potential? And perhaps more importantly, how might we recognize the ways our data and our work can cause harm to the collaborators or communities with whom we work? Such questions often trouble archaeologists, who typically must weigh competing obligations to living communities, cultural heritage institutions, and academia (see AAA Ethics Principle 3; Bria and Cruzado 2015; Silverman 2011). When conducting fieldwork, archaeologists frequently find themselves in tense conversations, informing farmers that their fields contain important ruins. In countries such as Peru or Mexico, this information is not just terminological. It implies a shift in value that can cause harm. By recording cultural remains on field forms, archaeologists draw “sites” on lands of semi-autonomous collectives (comunidades campesinas in Peru or ejidos in Mexico), then submit these maps to national institutions, such as a Ministry of Culture. In doing so, archaeologists convert the land and its attributes to cartographic representations, whereby places become coordinates and distributions of pottery sherds become polygons. Federal institutions use these representations to reclassify select sites as national cultural patrimony, a designation that converts landholdings into a general register of value (“heritage”), but divests communities of land (see also McCoy 2011). 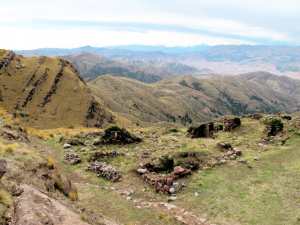 Image 1: The ruins of Huanacauri before our 2014 excavations, Cusco in the background. This conversion from community landholding to national heritage, and its implications, became clear to me during my 2014 archaeological and ethnographic fieldwork at Huanacauri, an important Inca temple atop a peak that towers above the former Inca imperial capital of Cusco, Peru. 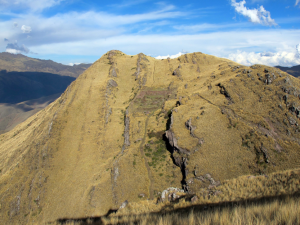 Huanacauri is both a sacred mountain and a small temple complex (one-hectare), both of which have long been essential to Inca and Andean religious beliefs. According to legend, one of the first Incas became a god at Huanacauri. The Incas built a temple on the mountain’s summit where, in ceremonies held during the height of Inca rule, young boys became elites and emperors affirmed their sovereignty. Today, both farmers from Cusco and travelers seeking “mystical” experiences leave offerings for the mountain in hopes of gaining its favor and drawing on its power. Our archaeological and ethnographic research sought to uncover evidence of Inca ritual practices at Huanacauri. We collaborated with both the Peruvian Ministry of Culture (MC) and Kircas, a village of indigenous farmers (campesinos) who live below the peak. Image 2: Huanacauri, a temple and mountain that embodied Inca imperial power, now Peruvian national cultural patrimony. All of these parties—our research team, the MC, and the people of Kircas—were interested in protecting the ruins at Huanacauri. But the MC and Kircas simply could not agree on what the site was. The Peruvian government has established that the site lies within Kircas community land and the District of San Sebastián, Cusco. Kircas community members have protected the site from looters, and defined their community boundary by creating stacks of stones (mojones) above the ruins. But in 2007, the MC proposed a national patrimony site boundary within the community’s land, and suggested that the campesinos could not build, dig, or plant within the boundary. To draw the boundary, the MC registered archaeological features with GPS units, and marked a 2.11 square kilometer polygon around the 1ha of temple ruins (this boundary is still the subject of negotiation, hence I do not provide a map because such data might be implicated in a legal dispute). Importantly, the MC referred to anthropological research, which suggests that the Inca temple of Huanacauri was an extensive “sacred landscape” comprising the temple and environmental features such as springs, ravines, or boulders. The people of Kircas questioned how the MC could draw such an expansive boundary, divesting them of community lands to protect terrain without visible ruins. What is more, they stated that protecting the ruins did not preclude their use of adjacent land, which they and their forbears had long modified by digging small water reservoirs with retention walls. This kind of disagreement is not uncommon in Peru. Indeed, a similar negotiation occurred during the process of delimiting the Inca monumental site of Sacsayhuaman, above Cusco. 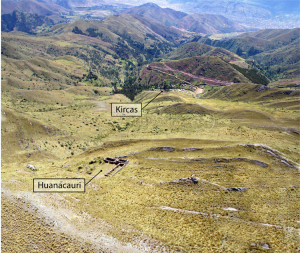 Image 3: Oblique aerial photograph showing the peak and ruins of Huanacauri and the village of Kircas. The proposed site delimitation would include much of the land between the peak and the village, as well as adjoining lands. The city of Cusco is visible in the upper right hand corner. When we initiated the project at Huanacauri, our research team thought that we should maintain neutrality regarding the site boundary in order to maintain ideal collaborative relationships with both parties. Then, the president of Kircas approached me about the issue. He wanted a map. More precisely, he wanted to know how to read and explain a map. I realized that, though we archaeologists often seek neutrality in such situations, our actions and their consequences not only favor one side in these disagreements, but also reproduce power asymmetries between federal institutions and farming communities. This is because our data are largely restricted to academic and institutional spaces and audiences. Moreover, these data are rarely translatable to the people with whom we work. Without access to such data and the knowledge to read them, the people of Kircas had no means to argue against the MC’s definition of a “sacred landscape.” They could not voice their disagreement in the same language as the MC—a cartographic language of contours, coordinates, and quadrants. In conversations with the community, our team realized that our work had to not only map, and share maps, but also teach the process of mapping. As other blog posts here have suggested, it is often difficult for archaeologists to draw a line that neatly separates community and federal claims to cultural heritage, largely because these definitions pivot on different understandings of “harm.” Here, I shifted focus from the issue of defining harm to the problem of drawing lines—the very literal consequences of drawing lines (as well as coordinates and polygons) on maps. In producing maps, we create data that will outlast current federal regulations and community interests. These data might support claims to land, and do harm, in ways that we cannot currently imagine. We may not be able to prevent this potential harm. But our work requires responsible data dissemination (see AAA Ethics Principle 5), which means that we should seek to share, translate, and teach the process by which we construct knowledge. By doing this, we can help to position a range of actors—local communities, federal institutions, archaeologists—on the same playing field. Bria, R.E. and E.K. Cruzado Carranza. 2015. Co-creative approaches to heritage preservation and community development at Hualcayán, Ancash, Peru. Advances in Archaeological Practice 3(3): 208-222. McCoy, E. 2011. Disputed worlds: Performances of heritage in Cusco’s tourism economy. Rupkatha Journal on Interdisciplinary Studies in Humanities 3(3): 419-425. Silverman, H. 2011. Contested cultural heritage: A selective historiography. In Contested Cultural Heritage, H. Silverman (ed. ), pp. 1-49. New York: Springer. Steward the Past and Avoid Harm? The ethical guidelines of the Society for American Archaeology (SAA) call archaeologists to stewardship, and exhort us to serve as “both caretakers of and advocates for the archaeological record for the benefit of all people.” To act for the benefit of “all people” is, however, easier said than done and our efforts to steward the past can have complex implications for the communities where we work. The AAA Statement on Ethics acknowledges these difficulties, enjoining us to do no harm, to act honestly, to obtain necessary permissions, and to weigh competing ethical obligations recognizing that “defining what constitutes an affected community is a dynamic and necessary process.” What happens, though, when our role as stewards conflicts with the beliefs and interests of local stakeholders? How are we to operate when local stakeholders have competing visions for the use of the land and its resources, or when local communities with their own claims over the past do not recognize the authority of the national or local government? For a little over a decade we have faced these issues while leading a regional research project focused on the political world of the Precolumbian Maya in the Usumacinta River valley, which today forms much of the border between Guatemala and Mexico. In Guatemala we work in the Sierra del Lacandón National Park (SLNP), where the renowned Classic Maya capital of Piedras Negras is located. Park managers work closely with the well-established agricultural cooperatives around the borders of the SLNP to achieve a balance between environmental and economic sustainability. The park is, however, frequently at risk from “invasores,” illicit settlers who occupy parkland without legal permission. These illicit settlers loot archaeological sites and clear forest without proper fire controls, destroying the cropland and natural resources of legal communities. They also create security risks for park rangers and researchers, some of whom they have attacked and held captive. Such actions have frequently impinged on our ability to mount effective investigations and thwarted the conservation efforts of park authorities. The larger political and economic situation in Guatemala means that while some invasores are connected to ranching or narco-trafficking interests, some are merely people in search of land to support the basic needs of their families. As archaeologists involved in the conservation of the cultural resources of the park, we find ourselves working in the public domain as advocates for park authorities who seek peaceful, legal means for the relocation of these illicit communities to areas outside the park. In so doing, we are acting from the position that while some economic harm may come from the relocation of these families, there is a greater good in protecting the cultural and natural resources of the park in the interests of the people of Guatemala and especially those licit communities that ring the park and legally take advantage of its resources. Many of these communities have existed for decades and suffered heavily in Guatemala’s civil war. They depend on a healthy ecosystem to practice sustainable use of the forest and look to the possibility of eco- and archaeo-tourism development in the longer-term. On the Mexican side of the river there is a very different economic and political environment. Towns of private landowners are interspersed with communities that hold land as inalienable communal property. Both private and communal landowners are often reluctant to permit archaeological work. Some refuse us entry out of the fear of government expropriation of their property. Others simply want nothing to do with the central government; as archaeologists with permits held from that government we are viewed as its agents. Some people know that archaeological work would impinge on what they view as their own perfectly legitimate efforts to mine ancient architecture for building materials for modern homes. For others, there is a desire to see immediate, often unrealistic, economic gain that we are unwilling to falsely promise. While field research can offer short-term economic benefits from employment, archaeological projects are typically not long-term development projects and archaeologists are not well-trained in development. We do our best, however, to work with communities on local museums, touristic development, or other efforts initiated by the community. Despite these challenges our work has moved forward in large part thanks to a few local interlocutors. These long-term collaborations have helped us develop relationships of trust in the communities where we work and opened doors for further research. Patience and dialogue have been fundamental. When prevented from documenting a site we have chosen not to leverage the legal recourse available to us from national authorities that might permit us access. Any short-term gain would simply come at the cost of eroding local trust in the long-term. Ultimately we find ourselves balancing the necessities of research against the diverse interests of the communities in which we work. Our ideal research goal in both Guatemala and Mexico would be full-coverage survey. In reality we must accept a more patchwork outcome that reflects our contemporary entanglements. That we consider the needs and interests of local communities and have been unable to document some sites has been indirectly attacked in national grant applications. At least one reviewer has lambasted our approach as “drive-by archaeology.” We would ask what such a reviewer imagines are the rights and responsibilities of an archaeologist? Archaeologists must accept that we are frequently arrogating to ourselves the right to decide what past, and present, should be stewarded and what the least harmful course of action may be. We must do our best to engage all local stake-holders in stewardship, though some may refuse such engagement. We must accept that there are times we cannot, and perhaps should not, protect the cultural patrimony that we hold dear. We must also accept that despite our best intentions we may not be able to protect that patrimony without doing harm of some sort to local communities, and we must weigh this against the benefits for other stake-holders. Finally, it is an ethical imperative that we do a better job of preparing our students – the next generation of archaeologists – to wrestle with such conundrums, to acknowledge the ambiguities and perhaps be yet better and less harmful stewards than we ourselves sometimes are. Meet the Dataverse: An Annual Meeting Data Scavenger Hunt!